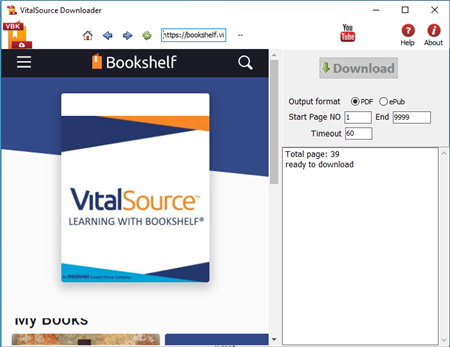 VitalSource Downloader is tools to download bookshelf books to epub and pdf format ebooks, it works without Bookshelf app installed, it create a new non-DRM protection epub/PDF file with 1-click, the new ebook file can read in Windows,Mac without limitation, share your ebook with friends. 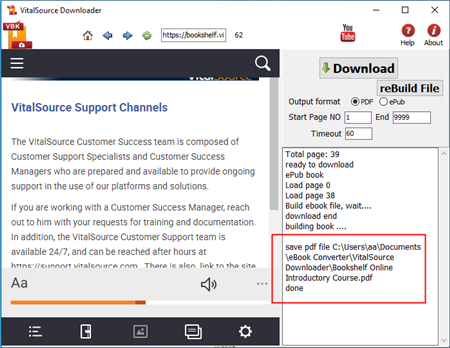 VitalSource Downloader is best tools we provide for Bookshelf, it works directly without bookshelf installed, new epub file read in all reader app, we recommend Adobe digital editions to open epub file that have better result. There is demo limitation in demo version, some pages not show content, but all pages show in full version. 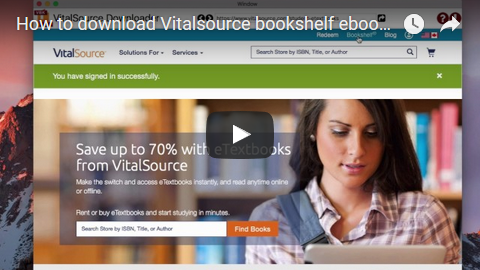 Video How to download Vitalsource Bookshelf ebook to ePub PDF Windows? 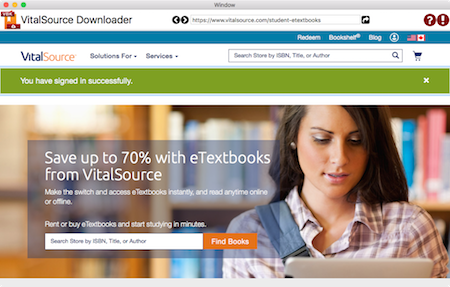 VitalSource Bookshelf® is the most used e-textbook platform in the world today. Portable, interactive, cost-effective. Smart. 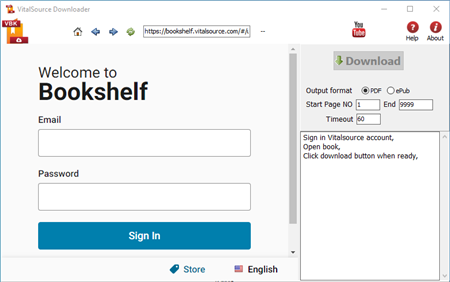 Download your books to your personal computer and access them in the VitalSource Bookshelf. They are completely portable; use them whether you are connected to the Internet or not. How to share Barnes Noble ebook? How to Read OverDrive Library eBooks on Kindle, Android,iPad? How to read public library books on iPad? Wie um Kobo DRM zu entfernen ?